Listen to this song by singer-songwriter Chan Marshall, better known as Cat Power. It’s ‘Could We’ as taken from her 2006 album The Greatest . Chan Marshall‘s Dylan-fandom had taken her along a similar geographic path as a songwriter, if not a strictly stylistic one. Like Dylan, she ventured from the wilderness, in this case Georgia, to New York City to make a name for her self. That’s true of a lot of songwriters, of course. But on this album, again like Dylan, she would make a trip to the American South to create what many consider to be her best studio album to date in the Greatest. In Dylan’s case, he went to country music capital of the world, Nashville. Marshall chose Memphis, one of the centres of Southern soul music. Where I wouldn’t compare Cat Power’s record to Dylan’s Blonde on Blonde, I think that the search for an American sound by going to one of its Meccas was a common goal on both albums. And you can hear that Marshall wanted to make this a concoction of American rock and pop, yet with a lot of soul music references, a bit of country, and even a touch of jazzy muted trumpet. The result of the whole I think really comes forward on this particular song. The song’s lyrics refer to a first date, the beginning of a relationship. To me “Could We” is the sound of a recovery, a song about coming into the light again after spending time underground, taking baby steps, but moving in the right direction. Maybe it strikes me this way because even though there is a spark of joy in the lyrics, Marshall’s voice remains to be so beautifully fractured. I think a lot of songs can come across in different ways all down to delivery. This is made even more interesting when you consider how Marshall and her band interpreted the same story in the live version of ‘Could We’. In this case, her voice is menacing, not vulnerable. And the music behind her is a stark groove; gritty, sweaty, and more dangerous. Once again, she follows Dylan’s mercurial practice of not treating the studio versions of songs as sacrosanct. 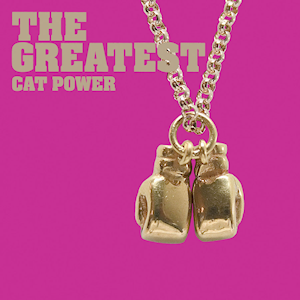 For more information and music, check out catpowermusic.com.